Mackay Regional Botanic Gardens, features art exhibitions and displays with environmental and cultural themes. Nature is a motivating influence of creative inspiration. Throughout history, nature has maintained an important function as a resource of inspiration for visual artists. Nature is a natural part of how we learn about our surroundings, interact with each other and respond to events that can develop, maintain and change our perceptions in unique ways within the community space of where we live. Pressing us individually and collectively to express what we experience from nature through the process of creating visual art. Visual art is also sourced from nature, as the art materials ‘mediums’ that artists use to inspire and create their artworks are from nature. Water, clay, wood, graphite, charcoal, mixed pigments and ochres. Artists use nature to create their artworks. Internationally, Indigenous Peoples have created paint from their natural environment to draw, tell stories, and record their cultural existence on rocks and inside caves. Artists still access nature for art supplies, because the elements of nature provide art materials and equipment that artists use in art-making today. The Lagoons Gallery, located at the main entrance of the Mackay Regional Botanic Gardens, features art exhibitions and displays with environmental and cultural themes. 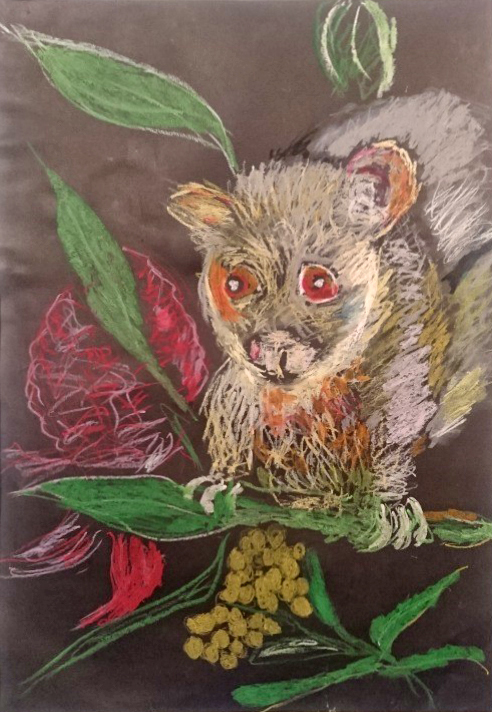 The Botanic Gardens provides you or your group with the opportunity to exhibit your artwork or display at the Lagoons Gallery, which is accessed by a growing number of Mackay residents and visitors in a unique garden/gallery/cafe setting. The Botanic Gardens is now inviting exhibition proposals for 2020 exhibition program. To submit a proposal, simply complete the exhibition proposal and submit it to Mackay Regional Botanic Gardens.